Make summer potato salad just a little bit sweeter by swapping out sweet potatoes for regular Yukon Golds. 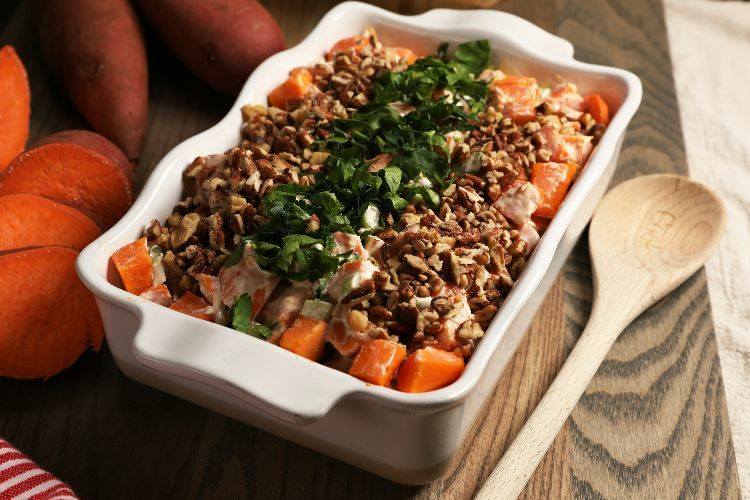 This recipe is inspired by a traditional Southern sweet potato salad with a mayonnaise-based dressing and green onions for a bit of zip. If you're making this salad ahead of time, wait to stir in the pecans until just before serving – that way they'll retain all that lovely crunch. Rinse under cold water, drain and place in a large mixing bowl. Add the celery and green onions to the bowl with the sweet potatoes. 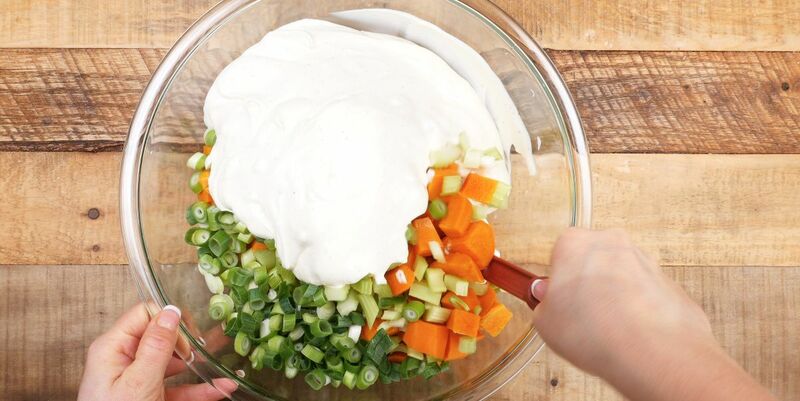 In a small bowl, combine the mayonnaise, sour cream and cider vinegar. Season to taste with salt and pepper, and fold the dressing into the salad. Chill the salad for 30 minutes. Just before serving, add the parsley and pecans and toss well to combine.